StratitudeDirect MarketingThink email newsletters are dead? Think again! Forget what you read, online newsletters are far from dead. Create an outstanding newsletter and people will click on it and read it. Why the resurgence in popularity? There are four explanations, according to Keyler Weber, account manager at integrated agency Stratitude. When a newsletter is personalised you create a connection and start building a relationship with that subscriber. Compare this personalisation feature to social media, radio or print media, where your communication or brand message is seen by everyone. “Newsletters are a direct way of communicating with your audience, so use first names in the design, create VIP lists with targeted offers, and let your personality shine through in your copy and design,” says Weber. People understand newsletters; they are familiar with how they look and the purpose they serve. We are also creatures of habit, explains Weber, and we take comfort in knowing that a newsletter will arrive on a certain day. This is why it’s important to be consistent and deliver a newsletter according to a schedule. Where a subscriber has chosen the type and frequency of the content, and it is regularly and reliably delivered, you gain their trust, their loyalty and their business. There is an unrelenting flood of content swamping readers on the Internet, making information fatigue a real thing. This is why people are looking for less content, but of a better quality. They want to find someone they trust to keep them updated with information they want to read. “To deliver customised content to your audience you need to know their preferences and identify their interests and this can be achieved by tracking their behaviour. 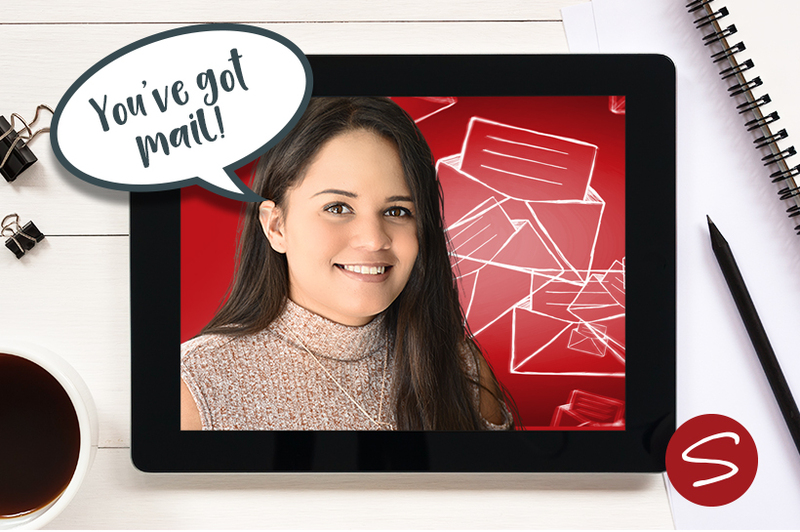 When you provide valuable, carefully crafted and targeted content, your readers will look forward to your newsletter and open it every time,” says Weber. Newsletters are hugely versatile, with no restrictions on the content you include or limitations on design. You aren’t writing according to rules or algorithms, which lets you show off your brand’s creativity, while at the same time increasing brand awareness. You also own your email list, which gives you direct access to your target audience. “For one of our clients, Beyers Chocolates, we know that a monthly newsletter is an ideal platform to show off all that Beyers offers. In one newsletter we can include their latest blogs, an on-trend animated GIF, products from their online shop, a video of their master chocolatier making a delicious chocolate dish and photos of a recent event with a link to a gallery. Subscribers want to open these newsletters because they are filled with content that they are interested in reading, presented in a dynamic and interesting way. The newsletters are also optimised for mobile, giving subscribers the convenience of reading the newsletter from anywhere, at any time,” says Weber.